SNAP TEST IS MANDATORY FOR FOLLOWING INSTITUTES/PROGRAMMES OF SIU. 1 Symbiosis Law School (SLS-Pune) LL.M. SNAP Test Admit Card should be printed from the SNAP website [snaptest.org] which will be available from Friday, December 01, 2017, till Sunday, December 17, 2017. An authorized person will verify and authenticate your Admit Card against the photo-id on the day of the test. Please preserve this authenticated Admit Card for further GE-PIWAT processes. Candidates should note that an authenticated Admit Card is an important document without which the candidate will not be permitted to appear for further selection processes of SIU.If the Authenticated Admit card is lost, a duplicate Authenticated Admit Card will not be issued. It should be retained till the admission process is over. Candidates who complete their SNAP 2017 payment process by October 31, 2017 will be intimated their allotted test city via E-mail on or before November 06, 2017.This will enable candidates to plan their travel schedules accordingly. Paid candidates admit card will be available from Friday, December 01, 2017, till Sunday, December 17, 2017. Those candidates who complete their SNAP 2017 payment process from November 01,2017 onwards (till last date of Registration) will get to know their allotted test city on the date of Admit Card generation (i.e December 01,2017). This may result in last minute changes to their travel plan. Candidates are advised to locate allocated test center at least a day in advance to avoid any issue on the day of the test. Travel and staying arrangements will need to be done by the candidates. A candidate applying under any of the reserved category (Scheduled Caste/ Scheduled Tribes/ Differently Abled/ Kashmiri Migrants) are mandatorily required to submit relevant document issued by competent authority. Any participation at any stage of admission process by such candidate is purely provisional and always subject verification and authentication of such relevant document. Any candidate who has incorrectly mentioned his category may apply for correction through E-mail from his registered E-mail id along with supporting documents (for change to Reserved Category). Please also note that if any information provided by the candidate in respect of his category is found to be incorrect, the University shall have right to cancel the candidature of such candidate. In compliance to Govt. Directives on disability guidelines issued by the office of the Chief Commissioner for persons with disabilities vide Ministry of Social Justice and Empowerment New Delhi notification no. 16-18/97 on dated 01st June 2001 and University Grants Commission Notification No. F.6-1/2006 (CPP-II/SCT) dated 30/09/2009, SIU has made provision of reserving 3% seats for Differently Abled Category (DAC) students in all the Institutes of SIU. All candidates claiming admission under DAC will be provisionally admitted under the said category. Thereafter, the candidate will be required to obtain an ‘Authentication Certificate’ from Symbiosis Centre of Health Care (SCHC) within one month of commencement of the programme. SCHC will check validity of documents produced by the candidates and verify the continued existence and extent of the disability. As per MoU with Ministry of Defence clause no. 13 sub clause (d) The term Defence Personnel would mean only those serving / retired Defence Personnel from the Army, Navy and Air Force who fall in the category of ex-serviceman as laid down vide Ministry of Defence Letter no. 36034/5/85 -Estt (SCT) dated 14th April, 1987. Open / Industry Category: 10% seats are in open category to civilian candidates under open or sponsored/ recommended by the Industry (as per merit). Officers of Armed Forces on Study Leave as authorized by respective Services HQs are granted automatic admission subject to meeting eligibility criteria. It is mandatory to attend all components / tests of GE-PIWAT to be eligible for admission to any PG programmes. Only candidates who attend all components / tests of selection process (GE-PIWAT) shall be considered as eligible for generation of merit / wait / reject list. Candidates who remain absent for any one of the component / test will be considered as ineligible for selection process of any of the MBA/M.Sc. (CA)/M.Sc. (SS) degree programmes of SIU. Category-wise cut off for Merit List and Wait List will be displayed on the website of the respective institutes. Wait list movement will depend upon the vacant seats available. The candidate is required to report at the Test Centre by 12:00 hrs to undergo, admit card and id proof verification, digital finger print scan and biometrics will be captured. After 14.10 hrs no candidate will be allowed to appear for the SNAP Online Test 2017. The SNAP Online Test 2017 will close at 16.00 hrs, under any circumstances NO EXTRA TIME will be given to any candidate. Cell phones, calculators, watch calculators, alarm clocks, digital watches with built in calculators/ memory or any electronics gadgets are not be allowed in the examination hall. The Test Invigilator will check your Admit Card and ID proof and authenticate the same. Duration of the test is 120 minutes, i.e. from 14.00 hrs. to 16.00 hrs. The candidate may attempt any section in any order. Candidates will not be allowed to leave the hall till 14.45 hrs. After submission of the test candidate will not be allowed to re-enter the test hall. 8. Candidates found using any unfair means will forfeit their chance of being considered for admission and will be debarred from receiving SNAP 2017 scores. Differently Abled category candidates are requested to contact STS with scanned copies of their Medical Certificates for ascertaining percentage of their disability. (email: info@snaptest.org). Candidates failing to do this will be considered under the Open Category. "Candidate must provide Correct Name, Date of Birth, Mobile Number and Email Address as these details cannot be changed once the registration is complete. All above information is require for SNAP 2017 Online Test." Register online on the website snaptest.org (from August 10, 2017 to November 24, 2017). Note: Any Changes in the online application form (except test city preferences) will be entertained only up to the closing date of Registration i.e. November 24, 2017. No changes shall be permitted after closing date under any circumstances. No change of test city requests will be entertained once candidates have completed their SNAP Online Test 2017 payment. Pay the test fee of Rs.1750/- (+ applicable Payment gateway charges, GST and any other taxes) as per the instructions mentioned on the website for Payment of SNAP Test fee. (From August 10, 2017 to November 24, 2017). Submit a Demand Draft (DD) of Rs. 2065/- (this include Rs.1750 as SNAP Test fee and Rs. 315/- as GST @18%) from any Nationalized Bank in favour of “Symbiosis Test Secretariat” payable at Pune. NOTE: SNAP Test fee is non-refundable. It is also mandatory to complete the payment process of desired institute for desired programme(s) before the closing date of payment of the respective programme. Payment towards the programme(s) also needs to be done through the SNAP website only (snaptest.org). For disputes between the candidate and the Symbiosis Test Secretariat, the candidate should first send an Email to registrar@siu.edu.in with details about his/her grievance. If the candidate is not satisfied with the decision of the Registrar, he/she can appeal to the Ombudsman of the University. Information regarding the same is available in https://siu.edu.in/student-affairs.php. All dispute between the candidate and STS in this regard are subject to the legal jurisdiction of Pune. A candidate desirous to submit his candidature to select PG programmes, is also required to complete the payment process of desired programme before the closing date of payment of the same. Payment towards the programmes must be made through the SNAP website only (snaptest.org). After making the payment for SNAP Entrance Test, proceed to complete the online registration form (Part II) for Programme (s) registration and the respective institute(s). A candidate is required to make separate non-refundable payment of Rs.1000/- (+ applicable Payment gateway charges, GST and any other taxes) per programme per institute at this stage. Even after closing of the payment for SNAP, a candidate may still pay through SNAP website till the last date of payment for the programme(s). An institute may offer more than one programme. A candidate should ensure that the preferred programme(s) is / are selected and paid before the last date. 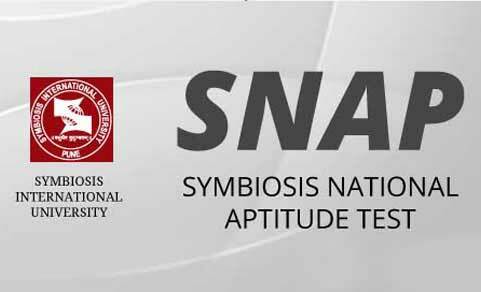 Indian nationals and NRI candidates (graduated from a recognised university in India) shall have to apply under SNAP to seek admission to the select Postgraduate programmes of Symbiosis International University. However, OCI/ PIO/ Foreign National/ NRI candidates (having passed graduation from a recognised foreign university) are exempted from appearing for SNAP and have to apply through Symbiosis Center for International Education (www.scie.ac.in). After declaration of the SNAP result, the institute (offering the programme(s) for which you have paid) will conduct further selection processes for short-listed candidates. The schedule for the same will be published on the website of the respective institute(s). Any attempt to impersonate or indulge in any malpractice, identified at any stage of the admission process would disqualify the candidate from the admission processes to all MBA programmes of Symbiosis International University and may also lead to appropriate legal action as deemed fit. Candidate should be Graduate from any recognised University/ Institution of National Importance with a minimum of 50% marks or equivalent grade (45% or equivalent grade for Scheduled Caste/ Scheduled Tribes. Bachelor of Architecture or Bachelor of Engineering/ Technology in Aeronautical Engineering/ Agriculture Engineering/ Planning/ Civil Engineering/ Environment Engineering/ Water Resources/ Environment/ Chemical Engineering/ Oil and Paint Technology/ Petrochemical Engineering/ Plastic and Polymer Technology/ Electrical Engineering/ Energy Engineering/ Electronics Engineering/ Electronics and Communication Engineering/ Instrumentation Engineering/ Mechatronics Engineering/ Mechanical Engineering/ Production Engineering/ Automobile Engineering/ Industrial Engineering/ Fire and Safety Engineering/ Marine Engineering/ Metallurgy Engineering/ Mining Engineering from any recognized University/ Institution of National Importance with a minimum of 50% marks or equivalent grade[45% marks or equivalent grade for Scheduled Castes (SC)/ Scheduled Tribes (ST) candidates]. Candidate should be Graduate from any recognised University/ Institution of National Importance with a minimum of 50% marks or equivalent grade (45% for Scheduled Caste (SC)/Scheduled Tribes (ST) or equivalent grade) and minimum two years full time work experience after completion of graduation be and is hereby approved. Candidate should be Graduate from any recognised University/ Institution of National Importance with a minimum of 50% marks or equivalent grade (45% for Scheduled Caste (SC)/Scheduled Tribes (ST). Note: (for all Categories) Students who are in the final year of their bachelor’s degree education may also apply, but their admission will be subject to obtaining a minimum of 50% marks (45% for Scheduled Caste (SC)/Scheduled Tribes (ST) at qualifying examination. Admission of such candidate will be provisional and will be cancelled in the event of non-fulfilment of the above stated criteria. Important: It is the responsibility of the Candidates to ascertain whether they possess the requisite qualifications for admission. Having been admitted provisionally does not mean acceptance of eligibility. Final eligibility for admission will be decided by Symbiosis International University. Bachelor of Engineering/ Technology/ Architecture/ Bachelor of Science (Environmental Science) from any recognised University/ Institution of National Importance with a minimum of 50% marks or equivalent grade (45% for SC/ ST or equivalent grade). Note: (for all Categories) Students who are in the final year of their bachelor’s degree education may also apply, but their admission will be subject to obtaining a minimum of 50% marks (45% for SC/ST) at qualifying examination. Admission of such candidate will be provisional and will be cancelled in the event of non-fulfilment of the above stated criteria. Candidate should be a graduate of any faculty with Mathematics at +2 level of any statutory University with minimum of 50% marks (45% for SC/ST). Candidates appearing for final year examinations can also apply, but their admission will be subject to obtaining a minimum of 50% marks (45% for SC/ST) at qualifying examination. SNAP 2017 Test will be conducted in 102 cities all over India. A candidate may choose three preferences of test cities of the following for SNAP ONLINE 2017 Test. Note: - No change of test city requests will be entertained once candidate has completed Payment for SNAP Online Test 2017. While all efforts will be made to ensure that the candidate gets a test city as per his/her preferences, however, in some exceptional circumstances, a different test city in nearby area may be allotted. Symbiosis Test Secretariat reserves the right to change or allot a city other than the one requested by the candidate in the event of the requested city not being available for any reason. Please note that the SNAP 2017 test will be ONLINE. Date: December 17, 2017; Time: 14.00 hrs. - 16.00 hrs. SNAP Test is an objective test. Each question has 4 responses. Candidate should choose an appropriate response. The Symbiosis Centre for International Education (SCIE) is a department of the University, providing leadership & support for the University's efforts to internationalize the campus and the curricula. The admissions are centralized for all the institutes of Symbiosis International University and routed through SCIE. The online admission facility has made it possible for all candidates to apply from different parts of the world. A candidate is eligible to apply as a Person of Indian Origin (PIO) if he/ she has a PIO card, and is a citizen of a country other than India. A candidate is eligible to apply as an Overseas Citizen of India (OCI) if he/she has a OCI card, and is a citizen of a country other than India. A candidate is eligible to apply as a Non Resident Indian (NRI) if he/she has appeared either for the 10+2 (equivalent to the Indian 10+2) examination or Graduation outside India. It is mandatory for one of the two qualifying examinations to be given outside India. It is mandatory for the Postgraduate Candidates who fall in the NRI Category and have appeared for their graduation in India to appear for the SNAP TEST. To assist candidates with their application to Symbiosis International University (SIU) a detailed stepwise procedure is available on scie.ac.in. Interested candidates can apply online through their user friendly online application facility.